In Cashflow We Trust Calling All Entrepreneurs! If you are an entrepreneur and are raising money, your Executive Summary had better be killer! Even if you work in the corporate world and want to pursue a new venture within the company-you may be asked to write an Executive Summary! So, what is an Executive Summary? The job of the executive summary is to Sell, not to describe your great idea or product. 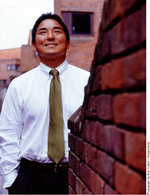 Guy Kawasaki has an excellent post on the “The Art of The Executive Summary.” That’s Guy on the left. Not only is this some of the best advice I’ve seen on writing an executive summary for funding, but I think if you are ever asked to give a presentation at work, you could follow this model and blow away your peers! 1. The Grab-Lead with the most compelling statement of why you have a really big idea. 2. The Problem-Clearly define it. 3. The Solution-What specifically are you offering to whom? 4. The Opportunity-Tell me size, growth, dynamics etc. 5. Your Competitive Advantage-Don’t ever say you have no competition, makes you look like a moron! 6. The model-How will you generate Cash Flow? 7. The Team-Only brag about members if they have world class credentials. 8. The Promise-You are going to make me a boatload of money! 9. The Ask-How much do you want? Tags: Executive Summary, Guy Kawasaki, Dream Job, Entrepreneurs.